I was born in 1962. I am married with Nadine and we have a child called Frank. At the ‘family/friends page’ you can find pictures from my family and some good security friends. I studied Computer Sciences at IHB and VUB Brussels. I started working as a Systems Analyst in 1984. In 1989 I became interested in viruses: I was the first in Belgium to have a solution for the ‘aids-information’-diskette Trojan incident. Some TV-journals and papers are proof of this. From that time on I started to gather information about computer viruses and Anti-Virus software. In 1991 I became a founding member of EICAR (European Institute for Computer Anti-Virus Research). Over the years I have maintained a reference library of software, books and almost everything that has been published in the computer security field. I am also a participant in Joe Wells’ Virus Wildlist since 1995. I am reporting for Belgium and Luxembourg and for the EICAR Organisation (Europe). Since 1996 I have given several seminars and workshops about Computer Viruses. I also wrote the original “Virus Article” for the Microsoft Encarta Encyclopedia (US Ed. 1997-..). In 1999 I became the EICAR-News Editor. It is the magazine of the known EICAR Organisation. In May 2000 the Belgian Government started with the E-Security Team on the B.I.P.T. Website. This team provided quick Anti-Virus and Security information to the Belgian people. I was the only known Anti-Virus Expert within this team. In March 2001 I became the EICAR news magazine editor. Since May 2005 I am the Director of Press and Information for EICAR. My title was changed later to Director AV Security Industry Relationships (Board Member). I have been working as malware researcher and Anti-Malware Technology Expert for the anti-virus industry ( NOXS (a Westcon Group Company) , McAfee, TrendMicro and Symantec ) and as Security Evangelist for Kaspersky Lab in the past. Since 2010 I am a member (press committee) of the AMTSO (Anti-Malware Testing Standards Organization) organisation. I was co-opted as a board member in May 2012 by the AMTSO board and re-elected for a period of 3 years in June 2012. I am the first and only in Belgium being on the board of 2 (EICAR and AMTSO) international AV security organizations at the same time. Since the beginning of 2010 I work as Security Evangelist for G Data Software AG. 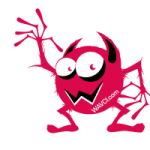 I am professionally occupied with anti-malware and security research, consultancy, training and communication with press, distributors, resellers and endusers. 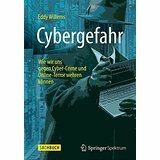 I write articles, blogs and whitepapers for several international magazines and publications and I often speak at known security conferences like Virus Bulletin, EICAR, AVAR, InfoSecurity, CeBIT, etc. I’m also a recognized security media expert having experience with live tv ranging from local Benelux to international TV stations like CNN and Al Jazeera. 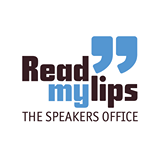 Since the beginning of 2014 I can be booked as an ‘inspiring speaker’ by the popular Belgian Speakers Office ‘Read My Lips’ (English, Dutch). End of 2014 I became a board member of LSEC (Leaders in Security) another non-profit security organization. I recommend the ‘press/media page’ and the ‘family/friends page’ if you want to know more about me. Also my Blog could be interesting for you. Within these pages you will find ‘The Most Comprehensive List of Anti-Virus and Anti-Malware Sites’ with over 4000 links in total. A large BIO, CV and press pictures (see also below) are available on demand. I speak Dutch, English, French and German. However if you send me an email, I will only reply in English or Dutch. You can contact me via the email-address at the bottom of this page or via similar addresses from my other domains like anti-virus.be, etc. Press people may contact me at my mobile phonenumber +32 475832971 , alternatively you may contact G Data’s PR managers to reach me . You can also find some other contact details (phone and address) at the EICAR site. I am available 24/7 for press people on my mobile phone! If you can’t reach me try to contact Danielle van Leeuwen at G Data (or have a look at the EICAR site) or catch me by email or by a direct message at my social networks Facebook or Twitter. You can contact me via the email-address ‘info (at) wavci (dot) com’ or via my G Data email-address. Don’t forget of course to replace ‘at’ with @ and ‘dot’ with . to create a normal email address, this is done for anti-spam purposes. You can download some hi-res press pictures here (35 Mb) and other hi-res press pictures here (9 Mb) and use them for your publications. 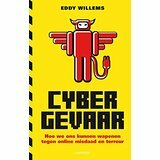 You can download here also the hi-res coverpage of ‘Cybergevaar’ my book. This site is and will remain always completely independent! Copyright Notice Exception: Everything on this page (about me) is public domain and may be reused in any kind of way without agreement of the author Eddy Willems.